Will installing elementary OS Juno going to wipe data on other drives? I have a pc with three logical partitions. I have windows 10 and Ubuntu 18.04 installed on two of them. I am planning on wiping the Ubuntu partition to install elementary OS Juno to try it out, is it going to affect any other partitions or such? 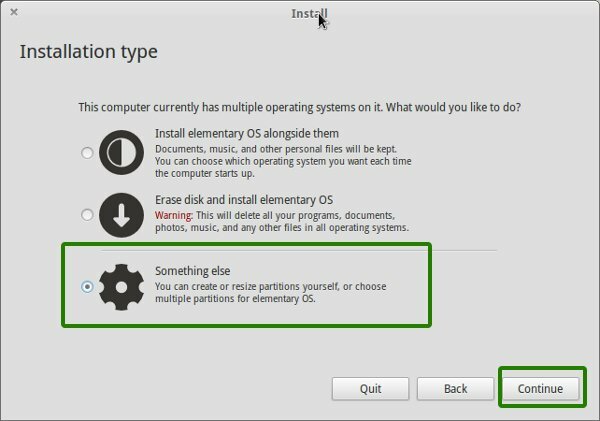 You will have to chose the good option and take care during installation: selecting the last option in that list - the one that allows you to access and administer partitions - namely: "Something else". There, you can select the partition you want for elementary, and it will be installed there - and only there. Nothing else will be touched, unless you decide otherwise. This tutorial for Luna is still valid, the installer is the same.